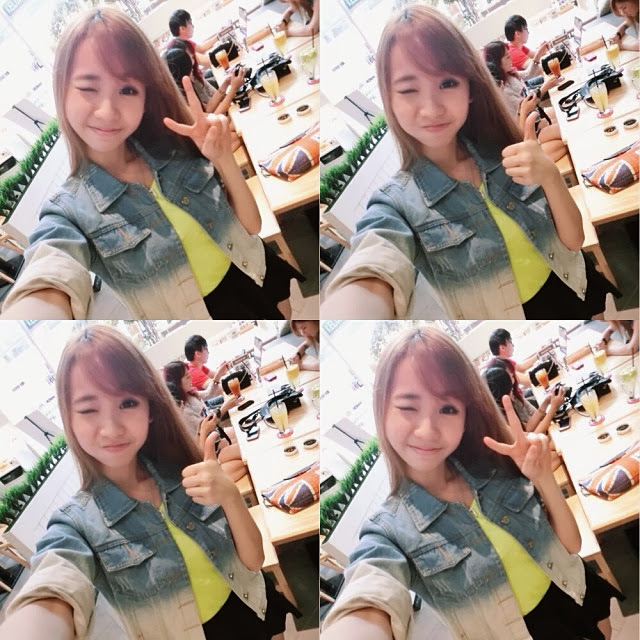 Hellooooo Lovely Sweetie :3 ♥ Errrrrr~ Oh yeaaaaa!! 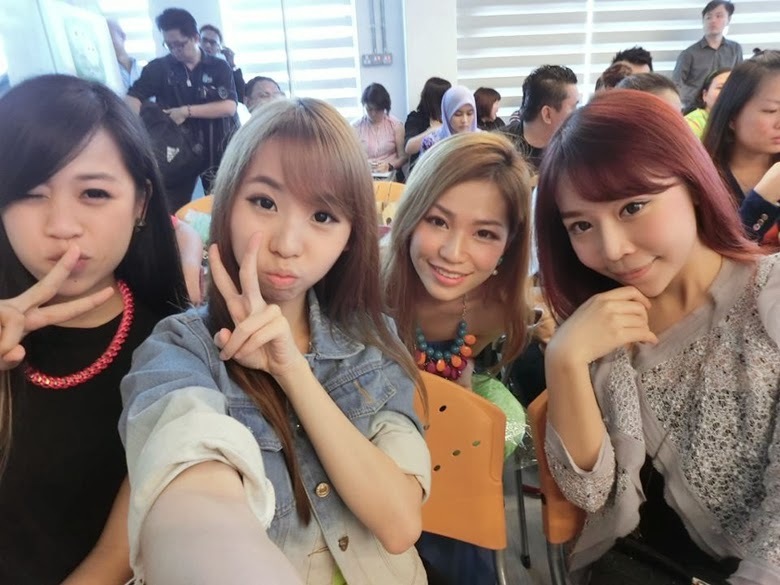 I'm just back from WeChatime 1 Million Cups Celebration♥ and guess what I'm totally fill up my stomach with all chatime drinks! AHAHAHAH Who doesn't like their pearl milk tea and roasted milk tea? 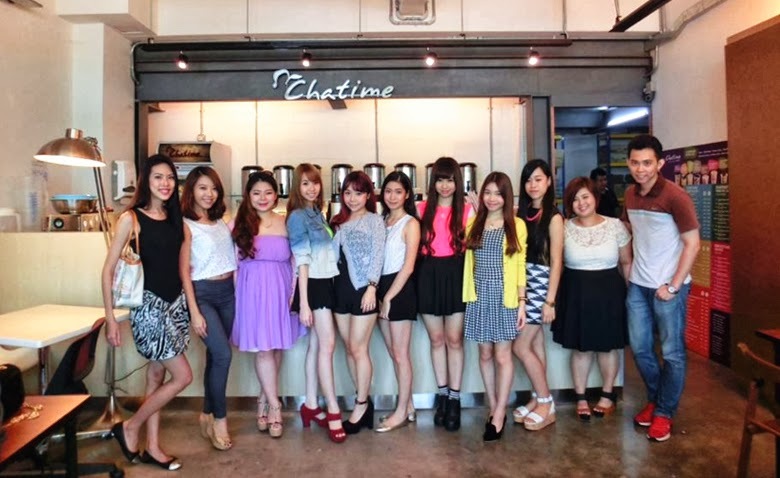 I'm always order their original milk tea and I can see chatime almost everywhere!!! Even cyberjaya I can found it too! 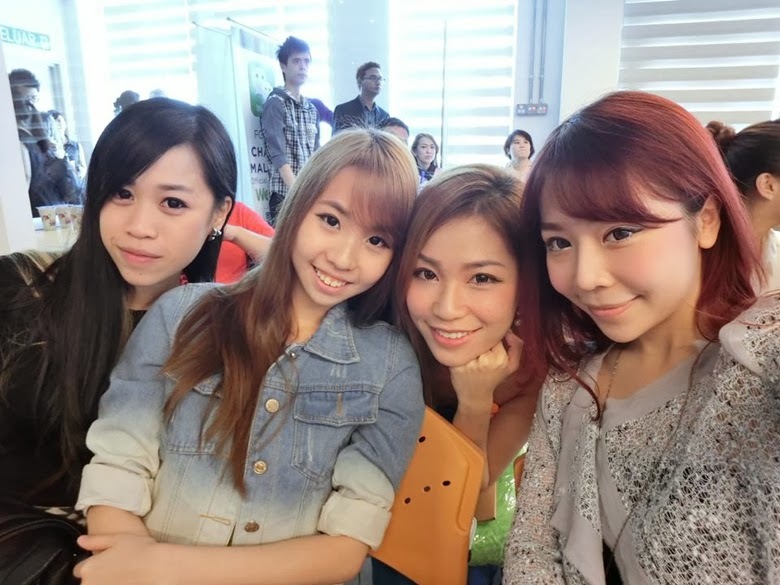 Thanks for the Awesome Celebration just now and I'M SO HAPPY to catch up with my girls too. 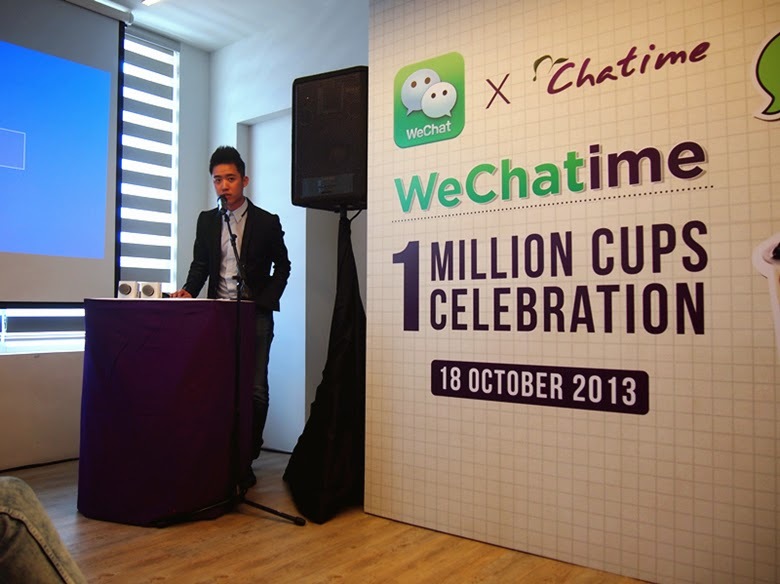 Seriously I'm really happy that WeChat finally announces partnership with Chatime & they are celebrates it with 1 million cups! OMG!! Sooooo nice right? 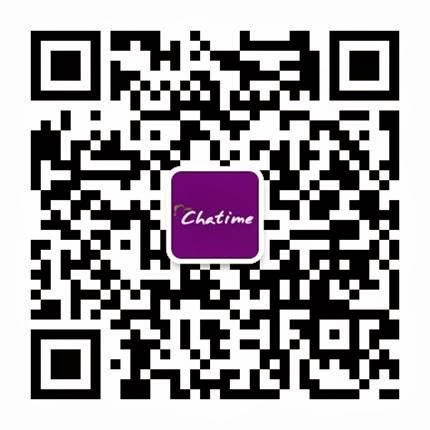 Wechat users will be offered an opportunity to REDEEM and Purchase♥ up to 1 million cups of Chatime worth over RM6 Million!!! 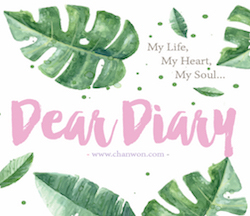 What a great news for all of us and keep reading I will tell you what others greats deal and HOW TO GET and extra 1 Chatime drink with only RM1!!! Wooohoo Emcee of the day! Event start at 10.30 after all of us as a part of media arrived and did our registration we get some welcome note by this pretty emcee. She's so funny and ask us to keep our phone silent even if it's in a vibration mode she still will get very excited for that HAAHAHAH. All of us laugh together and finally a speech by Bryan Loo , Managing Director of Chatime Malaysia then another speech by Louis Song , Country Manager of Sg & Malaysia for international Business Group at Tencent. ♥ Louis Song, Country Manager of Singapore and Malaysia for International Business Group at Tencent is delivering his speech at the media launch. After all photo opportunity and then it's time for Q&A♥ :) Most of us just get excited and not much question ask on that time but we feel glad about this celebration and partnership♥!! 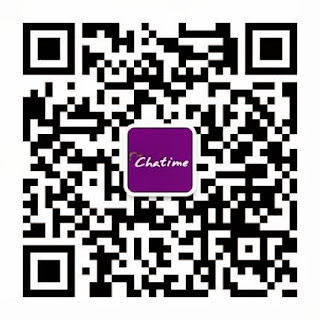 Next we have our lovely tour at Chatime New Headquarters. Walk through their office and their special training room. YEA!! 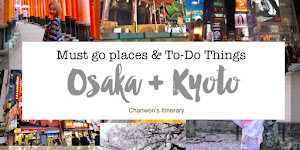 Get the latest promotion now!! 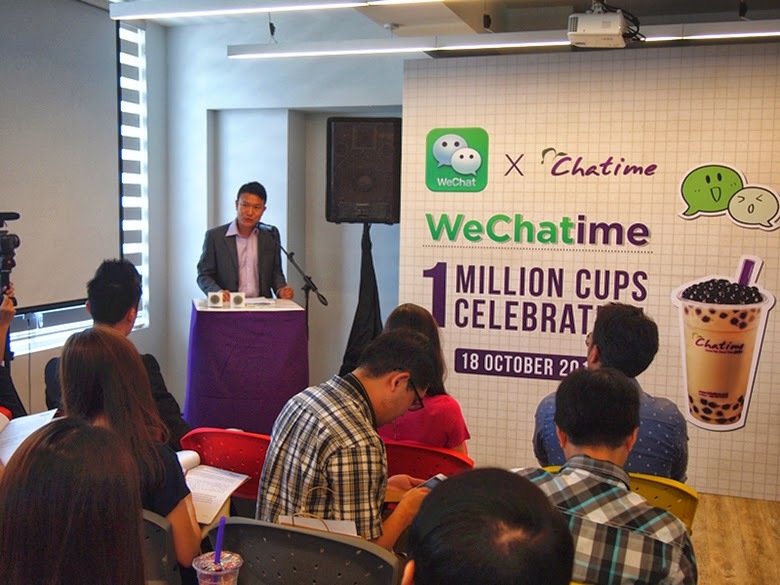 !With this 1 Million Cup celebration, WeChat users will be able to purchase and enjoy their second cup of Chatime at RM1 with every purchase of a normal priced beverage!! 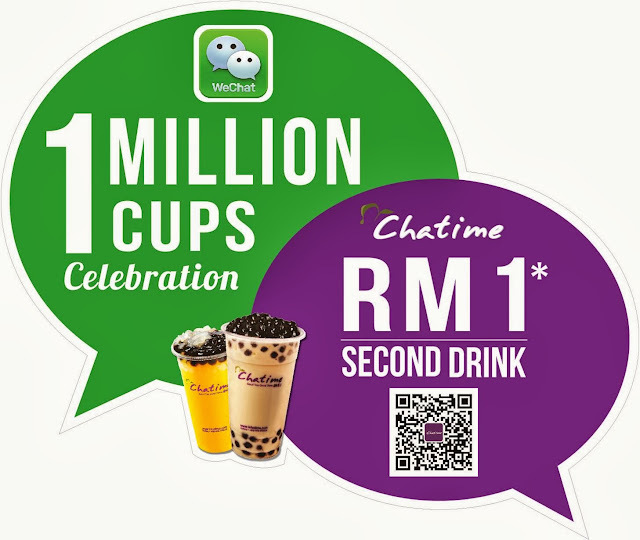 buy 2nd cup with only RM1 is starting on TODAY until 27th Oct.
Other than that, Chatime Malaysia will also be running a series of roadshows in the Klang Valley, Penang, Ipoh and Johor from now until 27 October 2013, to inform the public about the 1 million cup celebration.